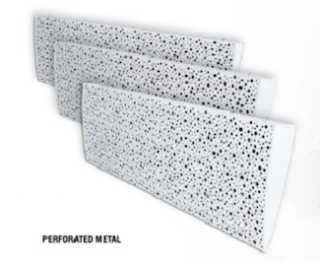 The What: JOCAVI will show the AIRbillow absorbent suspending panel, as well as other acoustic treatment panels and solutions at its InfoComm booth, C10646. The What Else: AIRbillow is designed differently in terms of aesthetics, with a triangular shape capable of creating interesting geometrical combinations. It is available in several colors and it is easy to install suspending on ceilings. The panel’s structure is made on a holed metal lacquered plate for robustness; the interior is built by combining absorbent raw materials made from mineral fibers in different layers and densities. AIRBillow is designed to be mounted from ceilings, suspended with the provided accessories. Typical public and industrial spaces require adequate noise control in order to provide good sound perception. This model has a good absorption coefficient in the mid-low spectrum, concentrated within 400Hz to 1.25kHz, which is very important to improve the absorption in the sound frequencies of the common noise.